"This is a recipe even veggie haters will love! People who like sweet potatoes also love it. It's a family favorite of mine." The recipe itself is fine, this just takes way longer than it needs to. My fiance and I loved this recipe! My small squash did not take quite 15 minutes to cook in the microwave, and during broiling I added a little maple syrup and bourbon. It was wonderful. 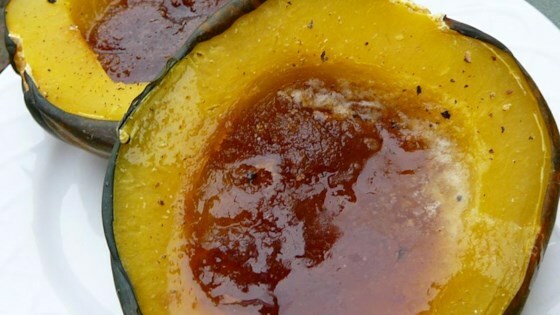 I love the quick and easy process to make this squash! I used less brown sugar than stated. I will try agave nectar next time.